Hoosier Home Health is a locally owned, locally managed provider of home care services. 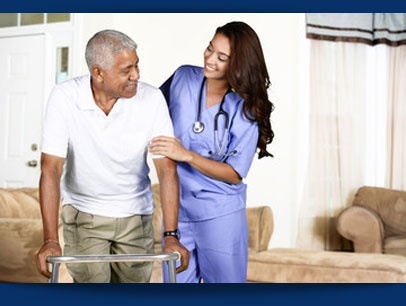 Our vision is to deliver comprehensive, person-specific home care services for individuals of all ages. We believe a smaller, detail-oriented company will provide superior individualized services and amplify our client’s quality of life. The right home health care services make all the difference in helping our clients maintain their independence in the comfort of their own homes with dignity. Please contact us to learn more about how Hoosier Home Health can be of service to you! Hoosier Home Health started with a vision of detailed quality, customer-specific home care services for individuals of all ages. We were founded on the belief that a smaller, detail-oriented agency will better provide individualized quality services, increasing each client’s quality of life. We're proud of the level of dedication and care our home health professionals provide. Below are a few comments from some of our clients. The right home care and home health care services make all the difference in helping our clients maintain their independence in the comfort of their homes with dignity. Hoosier Home Health combines the advanced medical care with a compassionate touch to create a perfectly tailored plan for you or your loved one that provides all the needed support within the best possible budget. "Sara is amazing with April, and April just loves her. Sara always knows just what to do for her with each visit." "I have referred clients to Hoosier Home Health and have been very impressed with both the speed of the start of services and the way they work with other care providers to ensure the highest quality of care." "I visit my sister once a week, and she always shows me how great the care is given by her home health aide Sara. Sara really makes her feel good." "I have someone that takes care of me. He is my friend and helps me. I love Dennis because he is good to me." Hoosier Home Health Care Teams include certified home health aides, certified nursing assistants, and registered and licensed nurses. All are experienced, trained, compassionate, and attentive. Most importantly, all of our Care Team members are thoroughly tested and screened before they are introduced as a possible match for our clients.